That’s why it’s so important to maintain any control you can manage, particularly when it comes to unnecessary costs. With cash-flow problems being the primary reason for business failure, any trimming of expenses will go a long way toward keeping your company alive. While some entrepreneurs will seek to cut production costs or stint on employee compensation, these paths can lead to unhappy customers and lowered morale. 1. Install a cybersecurity moat. Of course, avoiding the cost of a breach involves more than employee education. It also requires consistently updating your security measures to account for known flaws in the system. WannaCry, one of the more devastating breaches of 2017, exploited a common and well-known vulnerability that many organizations had simply not gotten around to patching. Scrutinize rules such as the General Data Protection Regulation to see whether you’re compliant and up-to-date on the latest vulnerabilities — and take prompt action if you’re not. 2. Ferret out spies and fraudsters within the city walls. Not all threats come from outside your organization. In fact, the Association of Certified Financial Examiners states that 5 percent of business revenue is lost each year due to fraud committed by managers, employees, and executives from within. And we’re not talking pennies, either: The median loss arising from cases of fraud reported in the study was $140,000, while more than 20 percent of the cases cost the victimized companies $1 million or more. Once again, your best defense against expensive instances of fraud is the watchful eyes of your own team. Offer protection (and even rewards) for team members who come forward with knowledge of potentially fraudulent activities. 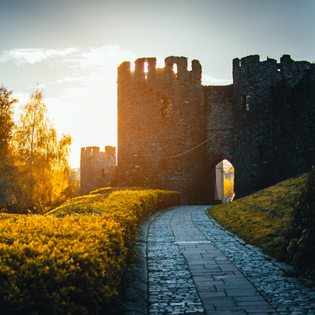 While watchful team members are your castle’s chief defenders, proper controls can make fraud much tougher to commit. Start by segmenting any duties related to accounting so they’re not all performed by one employee. Any action that restricts access to financial information will also help to keep your finances more secure. 3. Comply with the laws of the land. It may be surprising to hear, but massive unexpected costs can arise simply from failing to properly comply with regulations. Incorrectly classifying your employees as exempt or non-exempt, poor handling of hiring paperwork, and ignoring safety regulations can lead to exorbitant fines for your organization. And saying you didn’t know any better won’t help you. Ignorance is not bliss when it comes to HR or OSHA compliance. It can be especially difficult to keep up with employment regulations when your business is experiencing rapid growth. Keep in mind that as your team grows, what compliance looks like grows more complex as well. You may be tempted to reclassify a few employees as independent contractors to keep your numbers below 50 and avoid costs associated with the ACA. However, incorrectly classifying employees could also result in a fine, so you’re better off taking the time to keep on top of compliance as you grow. Accept that you can’t focus on business growth without also focusing on employment regulations compliance. Hire a dedicated HR director rather than try to wear that hat yourself; if a full-timer isn’t needed, find an outsourced HR services provider who can keep you on track. During the castle siege of business life, there are plenty of elements outside your control. So take charge of what you can so that, when the time comes, your vaults are full of the cash you need to handle the unexpected. Sometimes, it’s not clear whether the threat is inside or outside the castle walls.